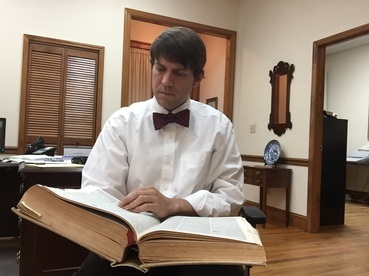 Bill Hardman has represented clients in DUI cases in Athens-Clarke County Municipal Court and Athens-Clarke County State Court. Whether you had a long night out in town or just a drive home from a football game, you may have been subjected to an arrest for DUI in Athens. Due to the potential for impaired drivers to be on the roads in Athens, there are frequently many DUI patrols set up after any event in town. The first step that begins a DUI arrest is generally some event that initiates contact with a police officer. That may result from a traffic stop for an alleged violation of a traffic law. Below is a listing of common traffic offenses that people are pulled over by the police thereby initiating a DUI investigation. A common example is a person being pulled over for failure to maintain lane or weaving. **As a preliminary side note: police are allowed to stop a vehicle for weaving within one's own lane. You can read the entire case decision from the Georgia Court of Appeals here that explains the law in Georgia: Weaving in your own lane. ​Although the offenses listed above frequently start a DUI investigation there are frequently other scenarios that give rise to a DUI arrest. One of the most common questions that people will ask after a DUI arrest is, "Can I get arrested for DUI if I wasn't driving or I was parked?" The Georgia DUI statute is O.C.G.A. 40-6-391. The first subsection (a) of the statute states that "A person shall not drive or be in actual physical control of any moving vehicle...."
The answer to this question is "YES." You can be arrested and convicted of DUI even if you were not seen driving or moving the vehicle because a DUI can be proven by circumstantial evidence; asleep in the driver's seat with the lights on, car is crashed a half mile down the road and the defendant is found walking down the highway and the car belongs to him, etc. 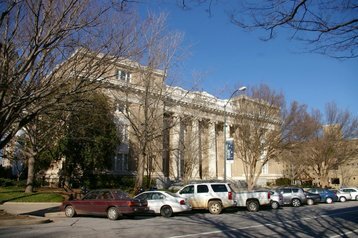 Athens is like many other cities in Georgia that frequently use roadblocks in an attempt to curb DUI driving. The case law regarding roadblocks is extensive and there are many challenges to a stop at a roadblock. The law enforcement agency must comply with all of the restrictions set forth in Georgia case law for the roadblock to be constitutional. If the officers and the procedures used are not in compliance with these requirements, then any evidence obtained at an illegal roadblock should be suppressed by the attorney filing a motion in limine or a motion to suppress. If you have been arrested for any DUI in Athens, submit your free DUI consultation on our "ask us about your case page" below. By providing some information about your case, we will be able to answer specific questions that you may have.